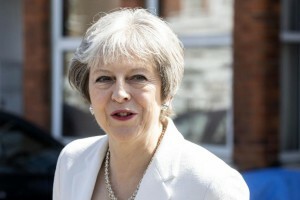 Writing in the Sunday Telegraph, May wouldn’t allow herself to be forced to accept compromises regarding a deal known as the Chequers agreement which would have the United Kingdom a “common rulebook” for trading with the EU. “I will not be pushed into accepting compromises on the Chequers proposals that are not in our national interest,” she wrote. The EU has called for a final deal on how it and the U.K. will interact following the withdrawal by November, as the move is set to take effect on March 29. “The coming months will be critical in shaping the future of our country and I am clear about my mission,” May wrote. Brexit secretary David Davis and Foreign Secretary Boris Johnson resigned in July over the Chequers agreement, but May said there has still been “real progress” in Brexit negotiations since the deal. “We want to leave with a good deal and we are confident we can reach one,” wrote May. Davis told the BBC’s Andrew Marr Show allowing a second Brexit referendum would be “almost worse” than staying in the EU. Parliament member Nick Boles, who backed the vote to remain in the EU. said the Chequers policy had “failed” and instead called for the United Kingdom to become part of the European Economic Area for three years in order to allow more time to negotiate a trade deal. “The plan I am setting out represents our only hope of a better Brexit,” Boles said.